Ben Finney : Surfboarding in West Africa, 1962. In this article published 1962, Ben Finney examined surfboarding in West Africa, citing the accounts by Rouch (1949) and Beart (1955). Rejecting the possibility that this was a recent diffusion from Hawaii, he noted the early nineteenth century report by James Alexander (1835) and the surfboard-like craft of Lake Bosumtwi, identified by Rattray (1923). This evidence, Finney concluded, supported the view that surfboarding in West Africa and Oceania was invented, and evolved, independently. In my thesis I had left open the possibility that surfing might have been independently invented elsewhere around the world. While studying for my Ph.D. at Harvard I ran across some articles by a French photographer; in which he described indigenous surfing in West Africa, the first evidence I found of a form of surfing independently developed outside the Pacific. Later my conversations with Felipe Pomar; convinced me that native South Americans had also dreamed up a kind of surfing with small reed rafts. In a previous article on surfboarding in Oceanda this sport was considered in reference to its distribution in Melanesia, Micronesia and Polynesia (FINNEY 1959). At that time I was not aware that the sport had ever been practised outside of Oceania in pre-European times. Since then, however, following from a suggestion kindly made me by Dr. DIETER SCHORI, I have had a chance to examine several reports of surfboarding in West Africa. In this note African surfboarding will be briefly discussed, and the question of its relationship with surfboarding in Oceania will be considered. Actually, as is the case in Oceania, it appears that along with surfboarding, the other basic forms of surfing, body-surfing (without a board) and canoe-surfing, are practised in Africa (BEART 1955: 330-331; ROUCH 1949: 50-52). However, as in the previous article, we are here interested in the most distinctive form of surfing, surfboarding. The African form of this sport is well described and illustrated with sketches and photographs by ROUCH, who has witnessed young Africans surfing at Yof and Saint-Louis, Senegal. What information is there then available about a possible genetic relationship of the African and Oceanian occurrences of this sport? To my knowledge there is no direct evidence either asserting or denying historical connection. Therc are, however, several hypotheses which might be explored if we, still wish to inquire into the relationship of African and Oceanian surfing. One obvious hypothesis would attempt to derive the African sport from its Oceanian counterpart by way of recent diffusion from Hawaii. The Hawaiian form of surfboarding, which has spread over the world in the last half-century (see FINNEY 1960: 323-326), has recently been introduced to South Africa where Europeans have taken up the sport. However, ALEXANDER'S report of 1837 on African surfboarding would seem to exclude the possibility of recent introduction. A corrolary hypothesis, that the sport could have been introduced during the eighteenth and early nineteenth centuries when European commerce was linking up such widely separated parts of the world, also lacks supporting evidence, although therc is no documentary evidence to the contrary. A third hypothesis, that which would posit some genetic connection dating from the pre-European period, actually leads to the basic issue of this discussion. In other words, we are faced with the recurrenct problem of ethnological interpretation, that of deciding between independent invention and diffusion. 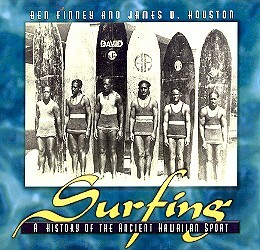 This same issue was brought up in the study of Oceanian surfing, where it was phrased "... as to whether the sport was independently invented on several islands in Oceania, or whether surfboarding was invented only once, on one island, and then diffused over the rest of Oceania (FINNEY 1959: 28)." In the discussion to follow it will be seen that the alternative of the independent invention of surfing in Africa and in Oceania is favored over the possibility of invention in only one of these areas and then diffusion to the other. Unfortunately a comparison of the actual form of the boards used for surfing in the two areas would be of dittle help. Although the small boards used in Senegal have the unique feature of a transverse bar to provide a grip for the rider, the general form of the boards from the two areas would seem to be similar. Indeed, so simple an artifact as a surfboard does not really admit enough complexity to safely allow historical inferences based upon similarities and dissimilarities in form. It is in fact the very simplicity of the surfboard, and in a sense of the sport itself, which provides an argument for the alternative of independent invention. As noted for the Pacific Islanders, who are known for their swimming ability and love of the water, " ...the use of a swimming float, or any stray board, as an aid in riding the waves would not seem like too great a step to have occurred in several places in Oceania (FINNEY 1959: 28)." For Africans, who live along the western coast with its warm waters and ample surf, and who apparently take to water sports, the same could have happened. This view that surfboarding was independently developed in Africa is apparently held by BEART (1955: 331), who posits that the small surfboard could have developed from the small boards used by boys for playing in the water which occur even in regions away from the coast. A glance at RATTRAY'S ethnography of the Ashanti adds weight to BEART'S hypothesis. In a series of photographs RATTRAY (1923: 60-63) shows long, slender boards (mpadua) being paddled by hand around an inland lake by young men just as a fullsized surfboard might be paddled on the ocean's surface. Moreover, it is interesting to note that on this lake the use of sails, paddles, oars and poles are forbidden, apparently leaving the hand-paddled mpadua as the main form of water transport (RATTRAY 1923: 63). It would appear then that West Africa shares with Oceania the ideal conditions under which surfboarding might develop, that is, warm, surf-filled coastal waters, a populace skilled in swimming and interested in water sports, and the use of some sort of swimming floats or boards. For this reason the view which supports the independent invention and evolution of surfboarding in both West Africa and Oceania is preferred. 1837 Narrative of a Voyage of Observation among the Colonies of Western Africa ... in 1835. Vols. 1-2, London. 1955 Jeux et Jouets de l'Ouest Africain. 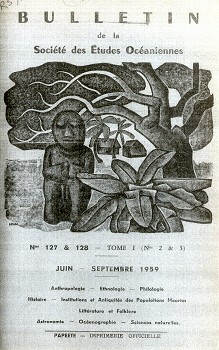 Memoires de l'Institut Francais d' Afrique, Noire No. 42, Dakar. 1959 "Surfboarding in Oceania: its Pre-European Distribution." Wiener Volkerkundiche Mitteilungen, Jahrgg. 7, Bd. 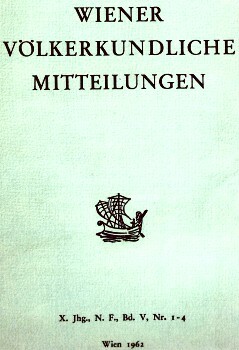 2, Nr. 1-4, pp. 23-36. Wien. 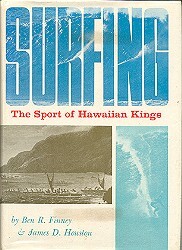 1960 "The Development and Diffusion of Modern Hawaiian Surfing." Journal of the Polynesian Society, Vol. 69, No.4, pp. 315-331. Wellington. 1949 "Surf-riding sur la Cote d' Afrique." No. 42, April, pp. 50-53. Dakar. Geoff Cater (2013-2018) : Ben Finney : Surfboarding in West Africa, 1962.